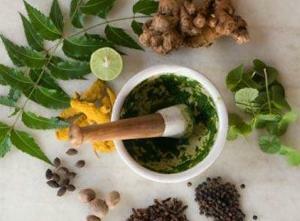 NEW DELHI: In a significant scientific validation for traditional therapies, India’s premier medical institution, AIIMS, has found certain Ayurvedic formulations effective in treating rheumatoid arthritis (RA), which causes irreversible joint damage. The study, conducted on 125 RA patients, found Ayurvedic medicines Ashwagandha powder and Sidh Makardhwaj, helped in relieving pain in tender and swollen joints, and increased mobility in a majority of subjects. Ashwagandha powder is derived from a plant while Sidh Makardhwaj is a formulation of herbal and mineral ingredients. The study was part of a larger research being conducted by the institution, known for cutting-edge treatments, for scientific validation of therapies offered under traditional systems of medicine. PM Narendra Modi’s endorsement of alternative medicine has given further push to the programme. AIIMS is also conducting multiple studies to validate alternative therapies for epilepsy, Alzheimer’s and chronic heart failure, among others. Dr Y K Gupta, who heads AIIMS’ pharmacology department, told TOI that scientific validation of alternative therapies and medicines was one of the mandates of the institute. “Interest in traditional medicines is renewed and growing exponentially due to the adverse drug reactions and economic burden associated with modern system of medicine. The central government is promoting them too,” he added. AIIMS is also conducting studies to validate the medicinal values of turmeric, sankhpushpi or Evolvulus alsinoides and stem bark of terminalia arjuna (a medicinal plant used by Ayurvedic physicians) for treating various health ailments. AIIMS doctors said Ashwagandha powder had anti-inflammatory, anti-stress and immuno-modulatory properties, which help improving physical function and joint pain in RA patients. A researcher who participated in the study said the formulations had multiple benefits. The subjects were administered 5 gram of Ashwagandha powder twice a day for three weeks with lukewarm water or milk and 100 gram of Sidh Makardhwaj daily with honey for the next four weeks as part of the pilot study. “The drugs decreased RA factor and there was significant change in post-treatment scores of tender joints, swollen joints, pain assessment score and patient self-assessed disability index among other,” the researcher said. The study has been published in the latest issue of the Indian Journal of Medical Research. Dr (Gen) Ved Chaturvedi, rheumatologist at Army (Research and Referral hospital) said this is a welcome step. “Whether we accept it or not, there are many people in India who subscribe to the health benefits of alternative therapies. It is important to scientifically validate the claims about their efficacy rather than ignoring them totally,” he said. According to him, rheumatoid arthritis is a debilitating condition in which patients have to take life-long medications. “In many cases, where treatment is delayed or the joints get damaged badly, costly joint replacements is done,” added Dr Chaturvedi. The NDA government recently announced opening of institute of Ayurveda on the lines of AIIMS in Delhi and several other parts of the country.